Jimena de la Frontera is a little dreamy village situated on a hill towering 200 meters above sea level and surrounded by the beautiful Los Alcornocales Natural Park, with one of the biggest cork oak forests in Europe. Perched high above the village centre, there is an old castle fortress, a National Monument since 1931, with magnificent panoramic views of the surround area. The fortification does attract much attention these days, yet, in the past it witnessed many bloody battles. While there are not many attractions in the elevated centre of Jimena itself, you fill find the little maze made of narrow and steep cobbled streets most enjoyable to walk or, if you dare, to run around! 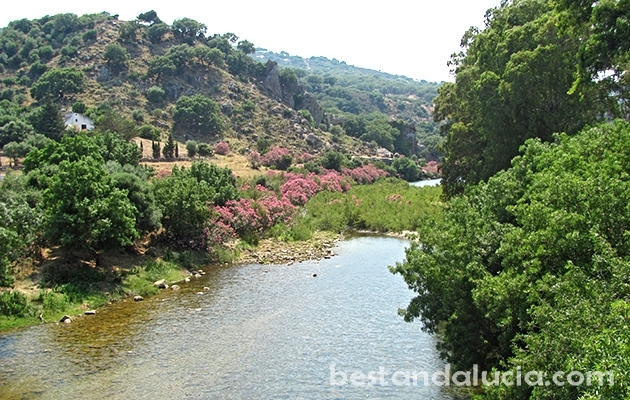 One of the main attractions of the ancient Jimena is a walking trail along the picturesque Hozgarganta river with unmatched views of waterfalls and quiet Andalucian countryside. If during your hike you feel like cooling off from summer heat, take advantage of the river’s clean water and plenty of safe spots for swimming. If what you are looking for is getting close to Andalucian nature and indulging in marvelous and varied hikes, at a cheap price, plan a trip to Jimena de la Frontera. Recommended time to visit: spring and early autumn. Find all the practical information, helpful tips and opinions on holidays in Jimena, Spain. Check out Jimena’s top attractions, recommended places to stay and best things to do. Read about the best restaurants in Jimena, Andalucia. Plan and book your vacations today with Best Andalucia guide. Jimena can be a perfect place for romantic retreat holidays. Find and book top hotels in Jimena, Spain. 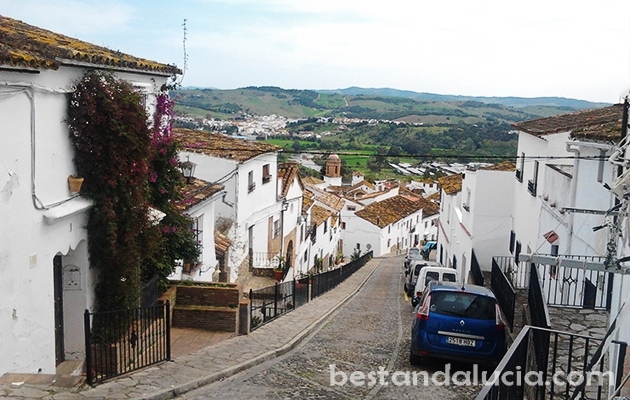 Check hotels in Jimena in Andalucia offering good value for money. Pick the hotel that best suits you and your budget. Find and rent apartments, houses and villas for summer holidays in Jimena, Spain. Choose from the best variety of properties. Luxury holiday homes with private pools, sports facilities and more. Enjoy spectacular holidays in Jimena, Andalusia.